Why Aren't We Talking About Owen Wilson's Suicide Attempt? 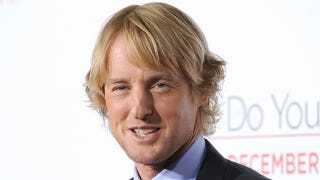 In 2007, Owen Wilson tried to commit suicide. And yet somehow we are not constantly reminded of his psychological problems. Let's examine this oversight. At The Daily Beast, Chris Lee dissects the media's bizarre respect for Wilson's privacy. He writes, "In his raunchy new comedy Hall Pass, which arrives in theaters today, the actor portrays a guy who gets a 'week off from marriage,' ostensibly for some sexual R and R. But in the court of public opinion, it is Wilson who seems to have gotten the hall pass." Cheesy, yes — but it's true that Wilson has somehow been spared the month-by-month analysis that usually dogs Celebrities with Problems. Is it because he refuses to answer questions about his personal life (as opposed to, say, the bizarrely logorrheic Charlie Sheen)? Because his friends remain tight-lipped (Peter Farrelly agreed to talk to Lee, but provided only vague boilerplate)? Because he makes comedies rather than darker dramas (though to be fair, his brother's character did attempt suicide in The Royal Tenenbaums)? None of these explanations is particularly satisfying. Nor is the diagnosis of the obligatory Expert Who Does Not Treat Wilson: "I would guess he had some significant problems combined with alcohol or drugs." If there's anything we can take from the preternatural unexaminedness of Wilson's possibly troubled life, it's this: if only every celebrity could melt down and pick him- or herself back up so quietly. I'm not one to disparage the media for digging into famous people's personal lives, and I know it's inevitable that they (or, I suppose, we) will continue to do so. But at the same time, there's something deadening about the endless cycle of breakdown, rehab, tell-all, and public reinvention to which viewers and celebrities are mutually subjected. Anything stars say in public about their hard times is of necessity publicist-filtered and platitudinous, and the contrast between lurid rock-bottom and sanitized, magazine-ready recovery can strain both credulity and sympathy. What we see and hear of a celebrity's fall and rise bears little or no relationship to reality — and to say nothing of the toll that publicity takes on stars themselves, these stories can oversimplify addiction and mental illness, and make those who struggle with these issues feel inferior if their stories don't play out as cleanly. Like Lee, I'm not sure how Wilson managed to recover (if recover he has) out of the spotlight. But I wish more famous people had his secret.